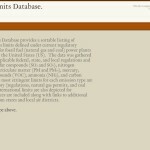 Emissions Limits Database « Hello Sekati. 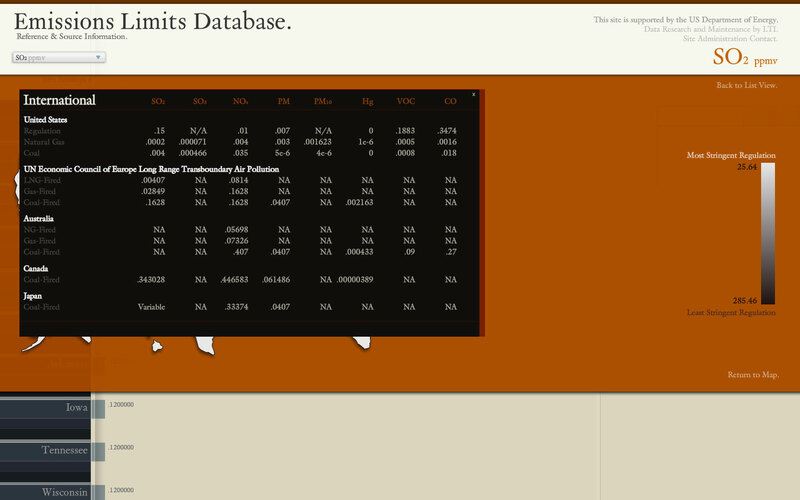 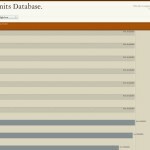 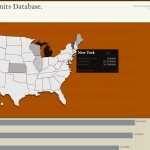 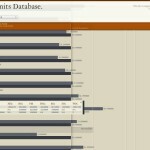 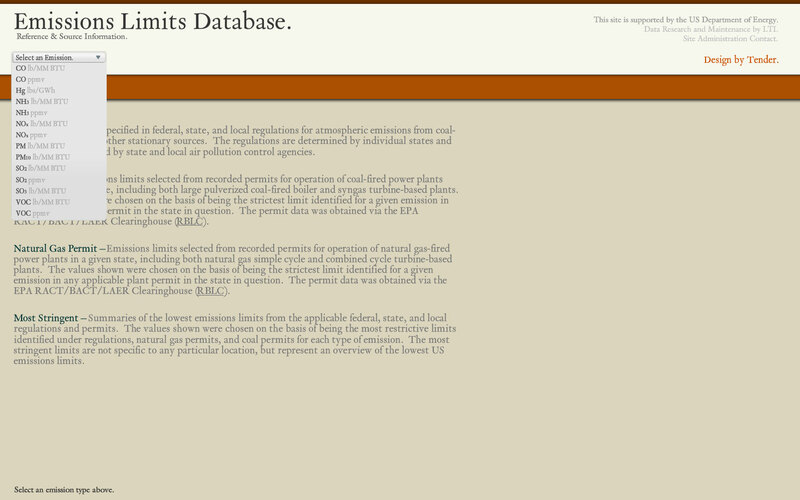 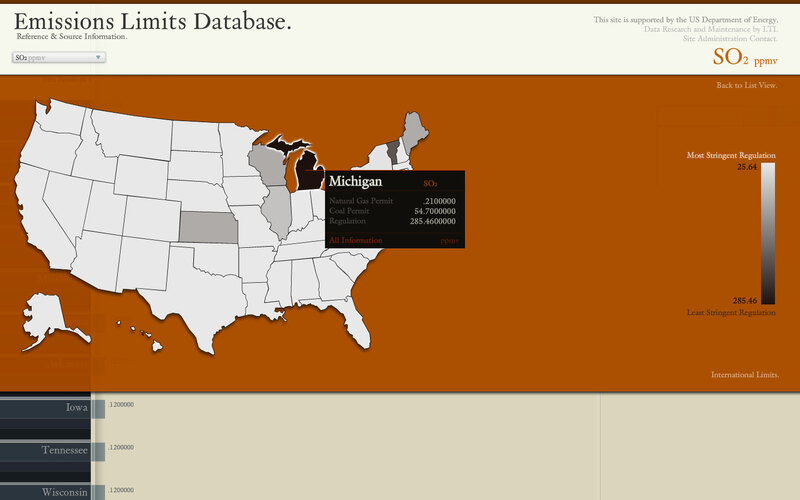 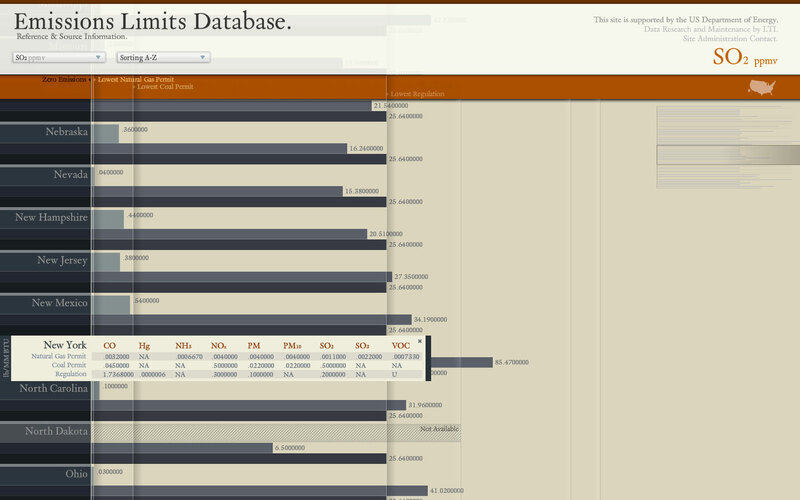 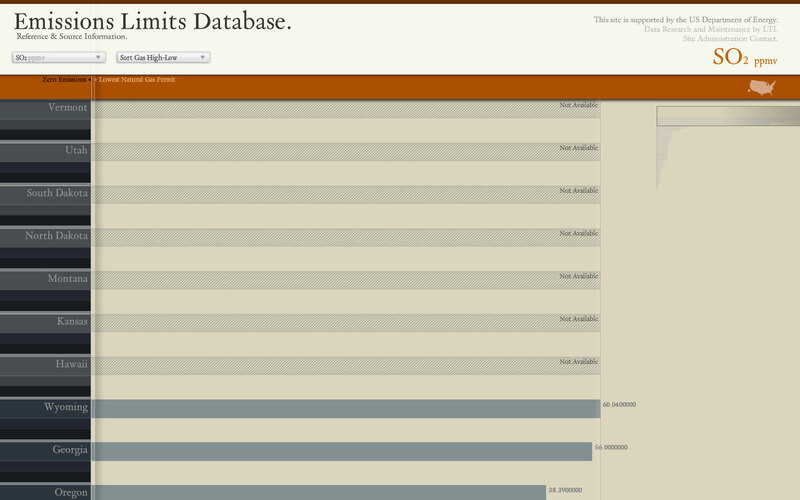 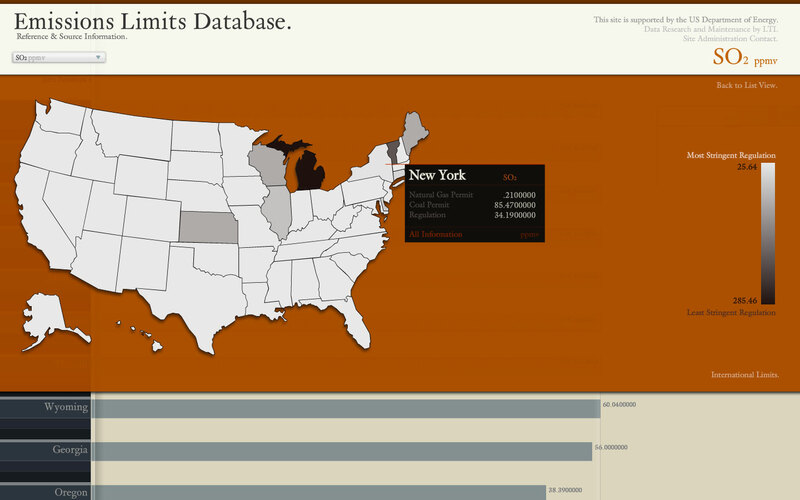 The Emissions Limits Database was an ambitious data-visualization executed for the US Dept of Energy involving the visualization of atmospheric emissions limits defined under current regulatory statutes and permits for fossil fuel (natural gas & coal) power plants operating throughout the United States. 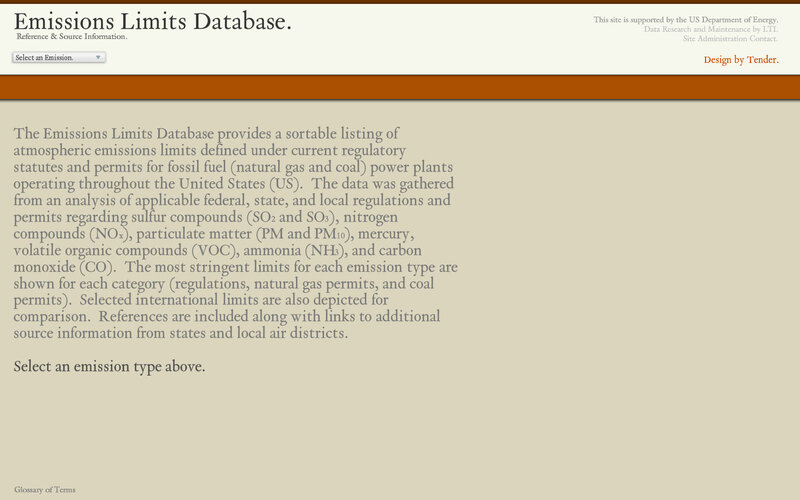 The data was gathered from an analysis of applicable federal, state, & local regulations and permits regarding sulfur compounds (SO2 & SO3), nitrogen compounds (NOx), particulate matter (PM & PM10), mercury, volatile organic compounds (VOC), ammonia (NH3), and carbon monoxide (CO). 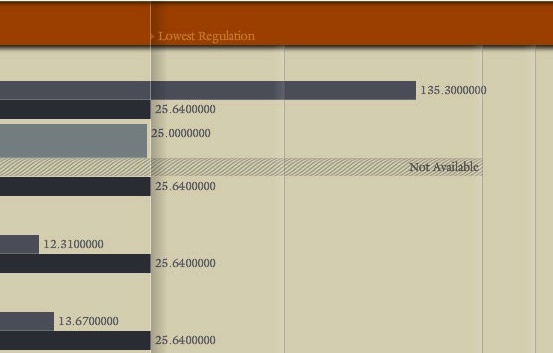 The most stringent limits for each emission type are shown for each category (regulations, natural gas permits, & coal permits). 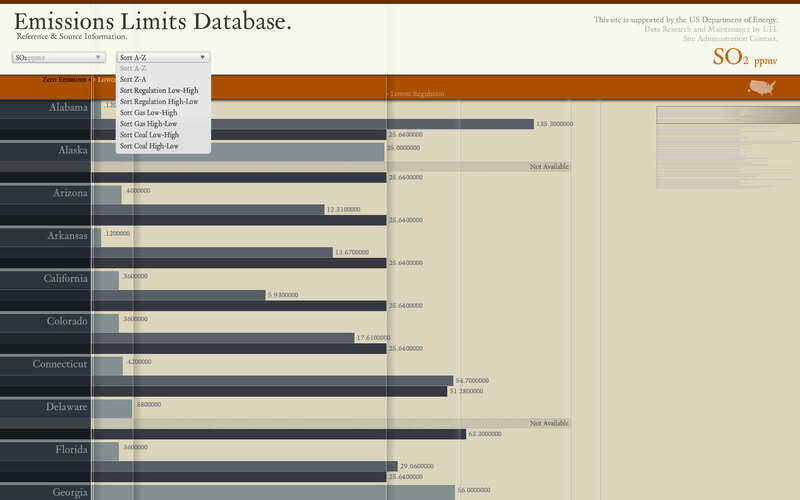 International limits were also depicted for comparison. 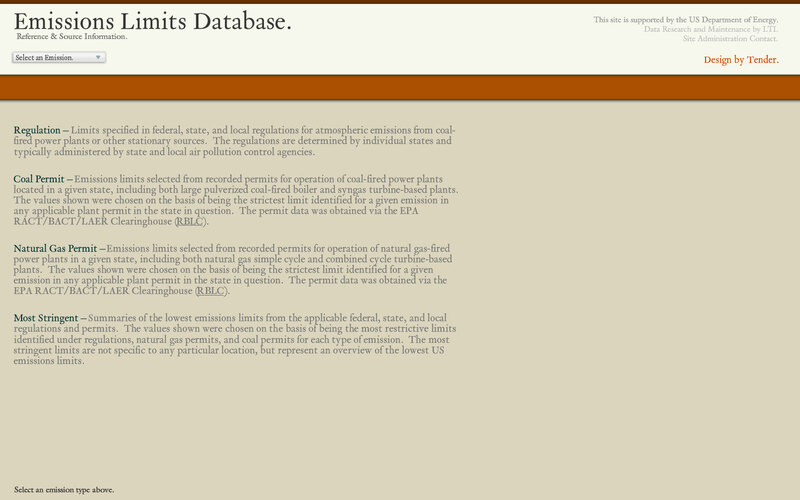 References are included along with links to additional source information from state & local air districts.